Recycling a vehicle involves dismantling a vehicle for spare parts at the end of their life. Once a vehicle has stopped working properly, it is broken down and used for spare parts. The process of breaking a vehicle down can be complicated, since there are many different parts – including some hazardous material that must be removed. To start the recycling process, recyclers will usually start the engine (if the engine starts at all) to find any leaks there might be. After the recycler has recorded all of the parts on the vehicle, they will then drain all fluids from the car (i.e. motor oil, transmission fluid, brake fluid, antifreeze, etc.) and store those fluids in the proper area. Other remaining hazardous materials will then be removed, like the battery and propellant for the air bags. Once all products and reusable items from the car are removed, the vehicle is crushed and recycled at a metal recycling facility. The old parts can be used to create new cars, or used to repair cars that are still in working condition. The total estimated revenue of automobile recycling is estimated to be about $22 billion. The automotive recycling industry impacts your life in more ways than you can imagine. The steel industry saves enough energy each year, through recycling, to power more than 18 million households for a year. Recyclers also remove the hazardous waste from vehicles and dispose of it properly, so it doesn’t destroy the planet and create unhealthy living circumstances. Car recycling can also help children with critical illnesses in your community. When your vehicle is run-down and you are looking to make a new purchase, you can make an impact in your community by donating your car to Wheels For Wishes. Wheels For Wishes benefits Make-A-Wish and helps to make wishes come true. Your car donation is tax deductible and will have a tremendous impact in your city, whether you live in Roanoke, Tucson, Portland, or anywhere else in the United States. Just call 1-877-431-9474 or use the simple donation form online. You will be contacted within 24 hours of the first business day to plan your free pick-up or tow for your earliest convenience. 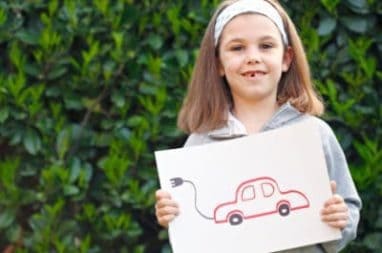 Vehicle recycling has a big impact on your life and your recycled vehicle can have an even bigger affect in the life of a child. Donate today to make a difference now!